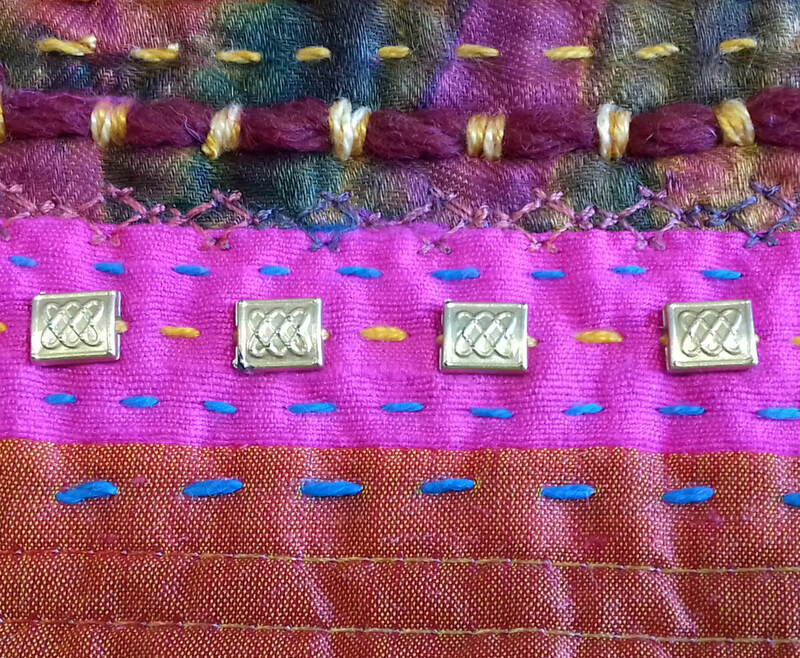 all Threaded Together are pleased to showcase aspects of our art textiles on a thematic basis every other month. 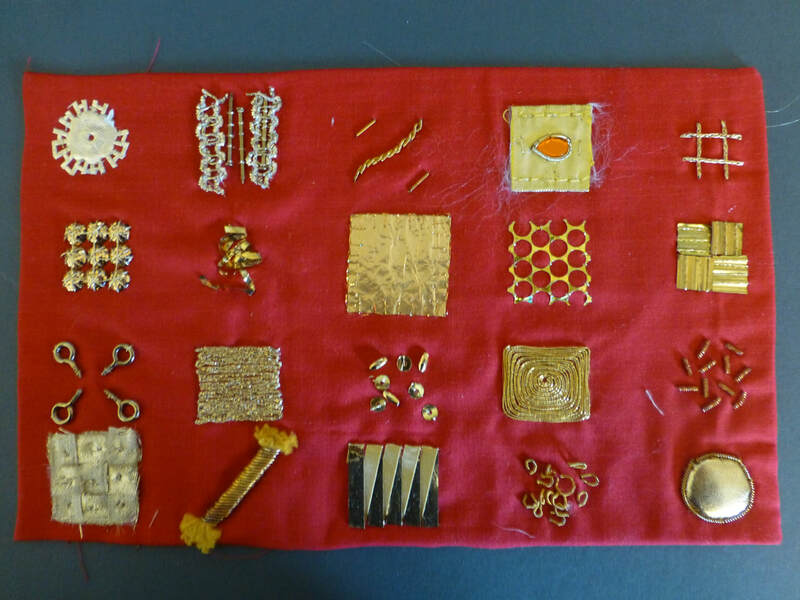 textile pieces with fabric or felt. 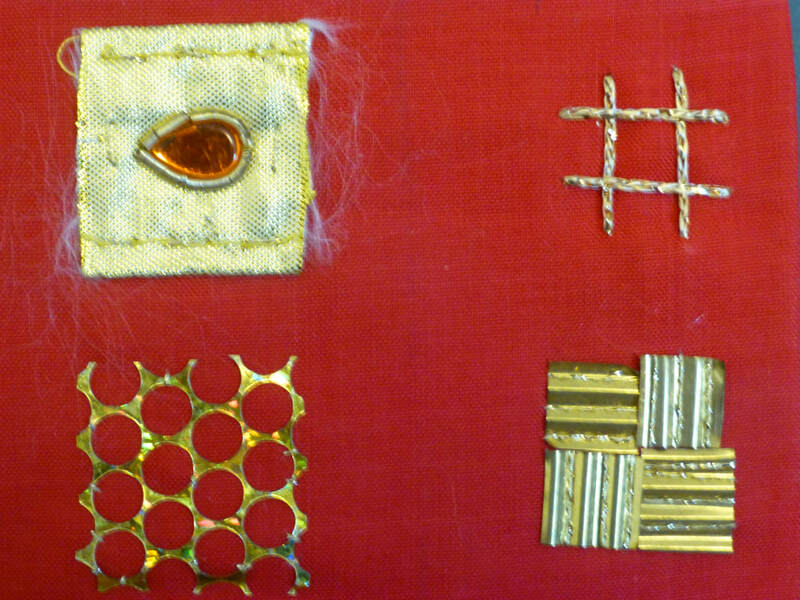 ​Goldwork and other metallic additions to fabric as samples. 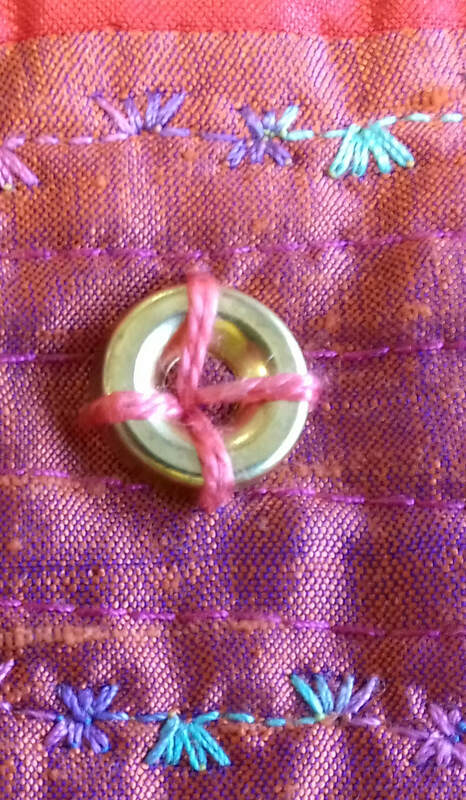 ​Still 'work in progress' - my Etui Wren from a fabulous course with Jenny Adin- Christie. 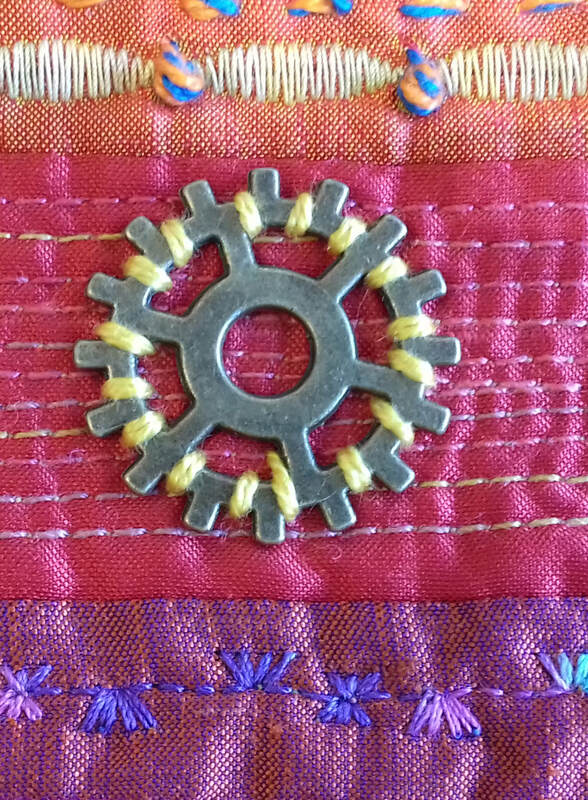 Over several years I have experimented with metals in my art work. 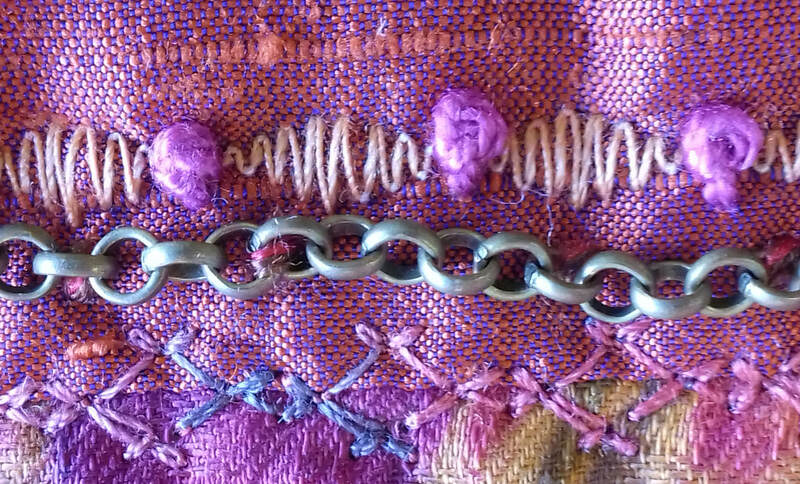 It's a lovely contrast with the soft and pliable fabric. 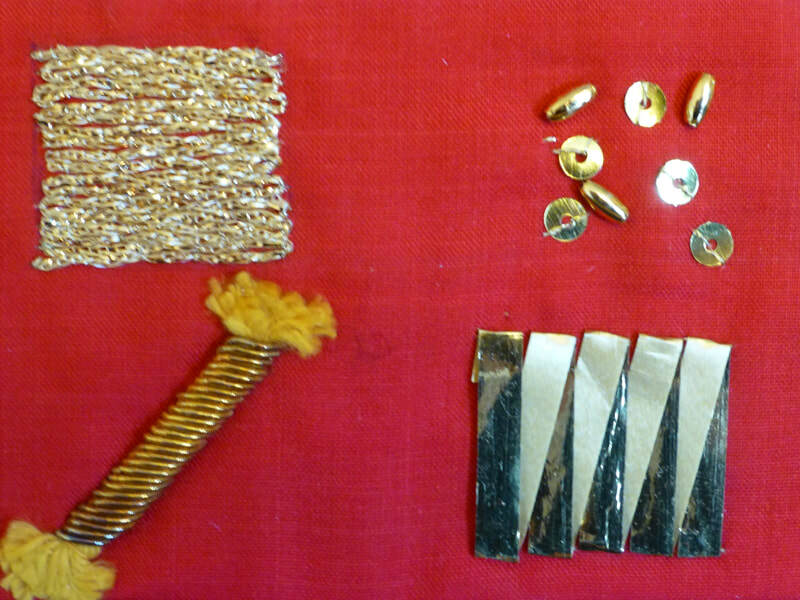 I've used: Copper gauze; metallic sweet wrappers; chain; washers and cogs.